Often the hikes of Zion get all the attention, primarily due to their ease of access, you don’t need any real special skills or equipment to go hiking. But there are some amazing canyons in Zion that are accessed only by rappelling, and one of our favorite is Pine Creek. In comparison this is a fairly easy canyon, but it offers some great rappels down some amazing canyons. It does have some swimming parts though (usually) so be prepared to get wet. Pine Creek is a fantastic canyon to do in Zion, so if you get the chance to do it, make certain you take it. 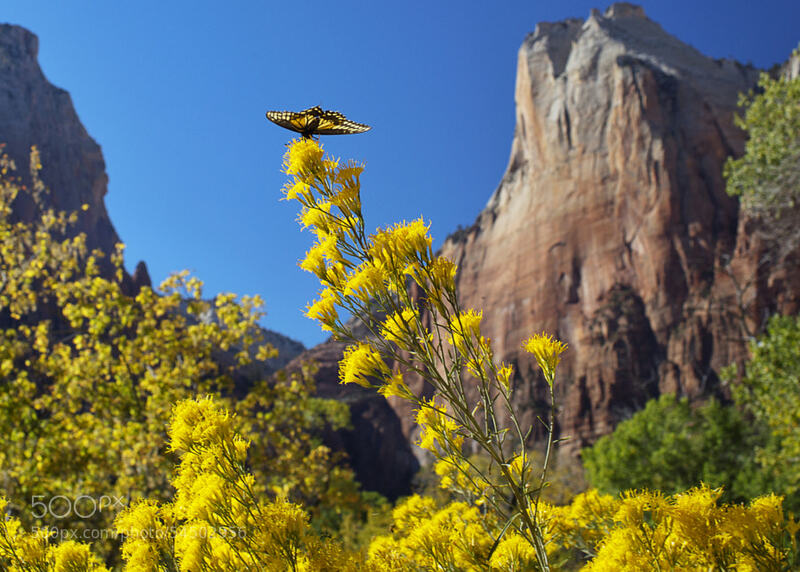 There is nothing better than going for a camping or hiking outside with a blue sky and the sun shining very brightly at you, especially in a place like Zion National Park. However, in some instances, the weather may sometimes be unpleasant and force us to change our schedule or hiking location. Or worse, the weather may change into a bad situation while you are already on the trail or in the camp site. 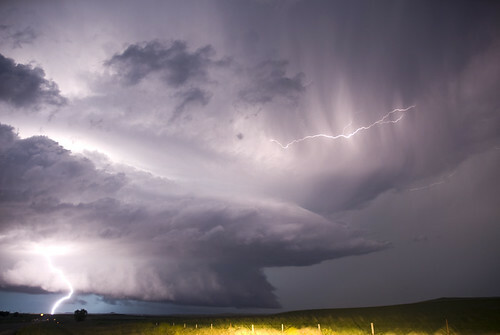 In this article, we will teach you some tips that you can use in order to be safe while being troubled by a storm on your hiking or camping trip, and more importantly, we will teach you how to determine whether a storm will be coming on your way. Hopefully if you’re ever hiking in Zion and encounter some of these things you’ll be better equipped as to know what to do. If you are a camper or engaged in any outdoor activity, you should take time to consider the weather that you may encounter. Before the day of your planned camping, make sure that you observe the sky. See if the sky is darkening or if there are flashes of lights or if the wind is unusually strong. Also, listen for any rumbles in the sky. If you can hear rumbles in the sky, that only means that you are close enough to the storm and that there is a chance that you can be struck by lightning. In that case, quickly go to a safe place where you will be protected. There is actually a simple criterion on how you can estimate the distance of the lightning: a light travels at a speed of 300,000 km/s while the sound travels at 330 meters per second. In short, to measure the distance, count the seconds of intervals between the flash and the thunder and multiply it by 330. For example, there is a three (3) second interval between the lightning and the thunder then, 3 sec x 330 meters/sec = 990 meters. Be aware of the weather forecast in your place and in your destination especially in the mountains and forests where storms can be very dangerous. Sometimes people can, without them being aware of it, sense danger through their bodies. Sometimes we feel a strange tingling under our skin, or sometimes our hair stands when we get in contact with metal objects which end up in a buzz and give us a little shock. This happens because we are moving in an area with a high static energy brought by the storm. In this situation we are conductive. This is why sometimes when two campers are close to each other and they touch each other they get a shock. Keep your cool and analyze your situation. Move rationally. Stay away from high places and go to low areas which are not prone to flooding. Never run during the storm especially when your clothes are wet. This is very dangerous as you can attract lightning. Gather all materials made of metal (ice axes, trekking pole, frame backpacks, rods, sticks, pans, grills, fishing rods, etc.) and place them 30 meters away from you. Allow them to attract the lightning. Never hide under a tree or a rock which is standing alone. A tree which stands alone with no other trees nearby can easily attract a lightning. However, a forest or any group of trees can be used as a shelter during a storm. Keep a distance from metallic objects and other electrical facilities like fences, barbed wires, pipes, telephone wire, railroad, bicycle and other machineries. Being close with these objects is dangerous even when not into direct contact because these can have shock waves created by thunder heats in the air which can be a cause of lung diseases. Keep away from an open and plain area. Standing alone in the middle of an open field can make you a lightning rod because you are probably the tallest object in that area. Stay away from wetlands or puddles. Quickly move to another place if you found yourself near a river, a lake or the sea as the water in these areas can quickly rise. Don’t hide in small shelters such as barns, shacks, and tents. They are not safe. Turn off cellphones, tablets or other electronic gadgets as electromagnetic radiation may attract lightning. The best place to hide under a storm is inside a car. However, inside, you must turn off your engine and lower your radio antenna. You should also close the windows. Even if your car gets struck by a lightning, you will still be perfectly safe inside. Be a small target by being in a squatting position. Your hands should be around your knees and your head between it. Try to be as small a target as possible.